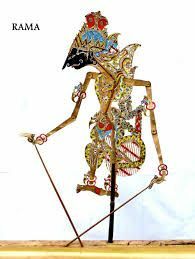 Rama, from the Wayang Kulit, or shadow puppet theatre, Surakarta, Central Java. 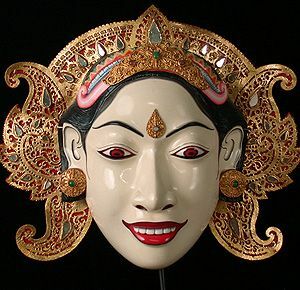 Sita mask Wayang Wong dance drama, Bali. 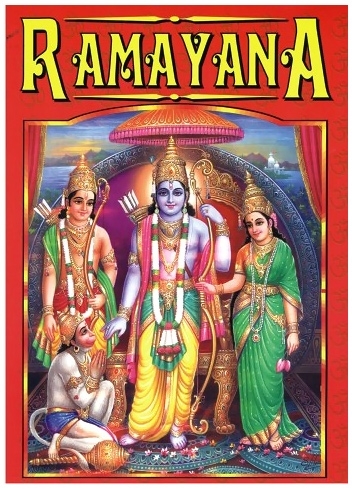 The Ramayana has had an influence on Bollywood. 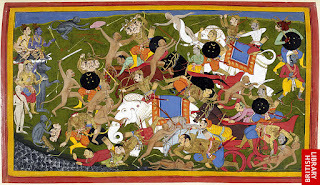 Mani Ratnam’s Raavan was loosly based on the Ramayana. This is the Ravana character. 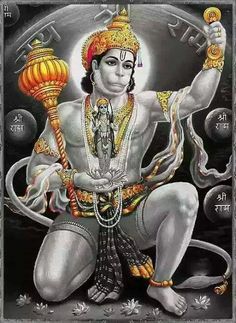 An Indian representation of Hanuman, the monkey god. 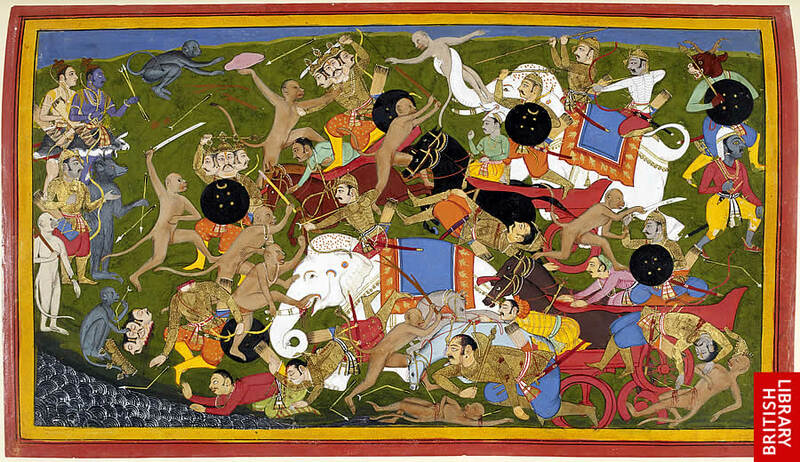 This illustration shows the battle between the armies of Prince Rama and his enemy the King of Lanka. It is held in the collections of the British Library. 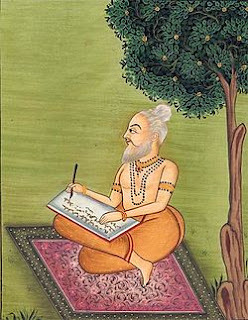 An artist's impression of Valmiki Muni composing the Ramyana.